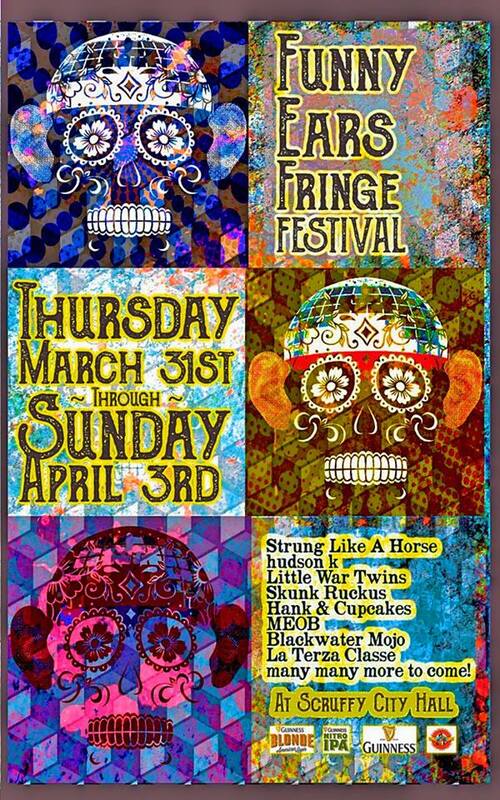 I am very pleased to announce that Zigadoo Moneyclips will be a part of this year’s Funny Ears Fringe Festival in Knoxville, Tennessee! Hosted at Knoxville’s premier live music combination of Scruffy City Hall and Preservation Pub, this year’s installment features a diverse range of extremely talented musicians, including RRE friends Opposite Box and Charge The Atlantic. Zigadoo Moneyclips will be playing Scruffy City Hall for their first time, after proving themselves at Preservation Pub on multiple occasions, and will play on Saturday, April 2, 2016. See the full lineup below! This entry was posted in Zigadoo Moneyclips and tagged Charge The Atlantic, Featured, Funny Ears Fringe Festival, Knoxville, Opposite Box, Preservation Pub, Rock, Rock & Roll, Scruffy City Hall, Tennessee, TN, Zigadoo Moneyclips.